We became an independent choir in 2010, after previously being The Royal Philharmonic Orchestra Community Choir. 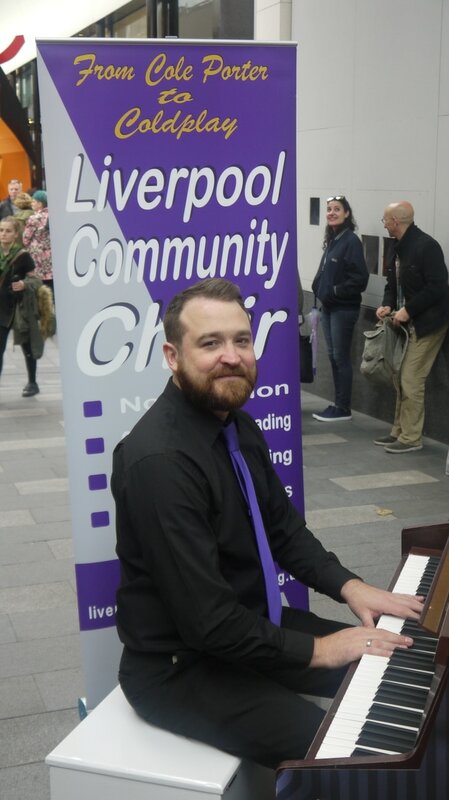 This friendly choir has members of all ages, from all walks of life, and from all areas of Merseyside. ( see 'How to Join' page for all rehearsal dates). Our contemporary repertoire draws from popular music from the 20th and 21st centuries. The choir is led by our musical director Ian Davidson. Sandi Thom and conductor of the Love and Joy Gospel Choir. and has a café bar downstairs to socialise prior to rehearsals. and the Liverpool Institute for Performing Arts (LIPA). THE ADDRESS: Blackburne house, Blackburne pl, Liverpool, Merseyside L8 7PE.